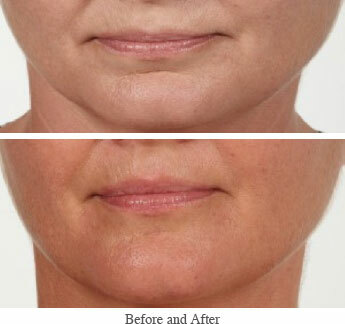 Dermal fillers are a popular treatment at the Laser Skin Clinic, Canberra. Dermal fillers are used to improve and enhance your appearance and to correct for problems that you may have had since birth or has occurred through ageing or injury. If you able to observe Dr Parmar performing dermal treatments you would truly say that he is an artist. This is especially important for procedures such as lip enhancement using Dermal Fillers. No wonder he is sought after as a trainer to doctors carrying out this procedure. Photo’s of his lip enhancement procedures on models grace the pages of magazines and product brochures. Create film star lips or just a minimal enhancement on what you have. Whether you are young or older you may desire to have the lips of one of the lovely actresses or celebrities or you may just want a subtle change to the look of your lips. Many people worry that having lip filler will be dramatic and noticeable to others and therefore they shy away from considering lip filler. Of course you can have a dramatic change to the size of your lips but the majority of our clients like to have a subtle change that improves the look of their lips and face but where their friends and work colleagues don’t notice. Bring in some pictures of the lips you love to discuss with Dr Parmar and let his expert injecting techniques create for you the perfect lips using dermal fillers. Typically as we age our lips become thinner and less youthful looking. Also as we age the fine lip lines and and creases around our mouth can create lipstick bleeding and feathering causing us to be self-conscious about how our lips might be looking when we are talking to someone. Say goodbye to the dreaded lipstick bleeding and feathering by having lip filler plump and smooth out the lines and creases. Dr Parmar has performed many natural looking lip enhancements for those who want to regain the lips from their youth. If you wish, bring in a photo of the young you and Dr Parmar will give you back your youthful lips. Did you know that one of the main reasons we perceive someone to be attractive is because their face is symmetrical. The more even or symmetrical your face or lips are the more attractive you will be. Dermal filler can be used to create a more even look to your lips and face. For many the area under the eyes is hollow either due to hereditary or from loss of fat from ageing. The hollowing under the eyes will make you look older as well as make you look like you are tired or do not get a good night’s sleep. At the Laser Skin Clinic in Canberra we can successfully put a dermal filler into this area so that you look more alert and attractive. Of course we have all seen that models and actresses will have a nicely defined face with high defined cheek bones. For those of us not blessed by these features we have Dr Parmar on hand to create for us natural looking cheek bones that will suit the shape and size of our face. This is truly one of the best treatments at any age to enhance your looks. If you are older the added benefit is that it will lift the droopiness that may be starting to appear on your lower face and jaw line. To get maximum benefit of a facial lift, without surgery, Dr Parmar does a beautiful 8 point lift using Voluma Dermal Filler. This helps to lift areas of the face that are starting to be droopy and looking a bit tired. Dermal fillers are also used to correct for unevenness of the nose or chin. For the chin a dermal filler can be used to reduce the depth of the mental crease (line or dip between the lower lip and the jaw line). Where appropriate Dr Parmar can fill in scars, including acne scars other skin imperfections. These work very well and improve your appearance greatly. Call for a consultation to discuss your options with Dr Parmar. Smokers lines. Smokers lines are the vertical lines on your upper lip. They are called smokers lines even if you have never smoked because smokers will have these lines more prominently and at a younger age than a non-smoker. Marionettes. Marionettes are vertical lines or divets that are visible starting from the edges of the mouth and going down. These are one ones that make you look angry or unhappy. Marionettes form as facial volume begins to deplete and deeper creases begin to form below the mouth. Nasolabial folds The nasolabial fold begins at the corner of the nose and runs down to the side of the corner of the mouth. The harshness of the nasolabial fold is one of the most common signs of aging. It is also, perhaps, one of the most troubling sings of aging. Dr Parmar can correct your nasolabial folds by injecting filler into the crevice and significantly improve how you look and feel. Bruxism is caused by teeth grinding and/or excessive clenching of the jaw. It usually occurs at night during sleep, and can have consequences such as the blunting of teeth, headaches, temporomandibular joint problems, and an increase in the size of the masseter (chewing) muscles that result in a widening of the jawline and a square appearance of the face. A square jaw may not be always be desired, especially in females. A square jaw may be as a result of bruxism or because of a genetic trait. As well as reducing or eliminating the negative side effects of bruxism treatment can help to convert a square shaped face into an ‘upside down triangle’ shape, and this is usually a more youthful facial shape. How do we treat Bruxism or a square jawline at the Laser Skin Clinic? Doctor will inject anti-wrinkle injections into the masseter muscle so the squareness of the jaw and bruxism is reduced. You can come and have this treatment in your lunch break and go back to work as there is no downtime. The effect of the treatment will start to work about one week later and will last between 4 to 8 months. Usually 20-50 units of anti-wrinkle injections are required in this area per side of face (total of 40 to 100 units). The amount of units needed for this treatment depends on the strength of your masseter muscle. Why is the lose of facial volume a major signs of aging? Within a few milliseconds of seeing a person’s face, we can very accurately assess someone’s age. A young person will have a fuller plumper face without lines and wrinkles. People who naturally have a fuller plumper face will appear younger than someone who has lost facial volume. When you lose facial volume you will also have more obvious wrinkles and lines on your face. As we age and and lose volume on our faces our skin appears more wrinkles and dropey. Dr Parmar can turn back the clock, in an easy walk in walk out procedure and add volume to the face to remove or reduce the wrinkles and folds. After the procedure you will invariably have a much younger refreshed looking face. Dermal fillers utilise a smooth injectable gel – hyaluronic acid, which is injected into areas of the face or other areas of the body. Dermal fillers will break down as part of the normal process of the body and therefore need to be reapplied. Dermal fillers can last up to two years and for some people even longer. Permanent fillers are also available but must be used with caution as the filler will always remain in the skin and this can have side effects or may not be desired later in life. Dermal fillers can create a more defined lip line, younger looking plump lips, scars can be filled and other areas such as nasal folds cheeks and under-eyes augmented to create a smoother, younger looking face. The results are often immediately apparent. The procedure is performed by a qualified cosmetic physician, and can take up to 30 minutes to perform. There is minimal pain associated with this procedure and local anaesthic can be used or is incorporated into the filler itself. There is minimal downtime and in most cased you can resume your normal activities. There may be temporary localised swelling associated with this procedure. The effects of fillers last from 6 months to more than two years. How long a filler lasts will depend on the filler itself as the viscosity of fillers varies and so does the life of the filler. In addition, the life of a filler will depend on how quickly or slowly your body breaks down the filler. Typically as you age, so does the speed that the filler breaks down. We have a range of filler types available to provide the best results for the area treated. Dr Parmar will advise you which filler is best for your situation as fillers are also designed to be suitable for different areas.